Her name was recorded as Hannah, Joanna, and Ann(a) in various records and documents. There appears to be only one Brassel (or variant spelling) in 1861 enumerated in Bromley or Bromley St. Leonards, Poplar, London, Middlesex: Emily Brassel, age 4 years, born Taltham [likely Waltham], Kent, visiting Hester Heaton. She married Francis Rushton, son of George Rushton and Ann Farnsworth, on 25 December 1862 in Bromley St. Leonard, London, Middlesex, England, at the Parish Church, with Augustus G. How officiating. According to this marriage record, she was a spinster and he a bachelor, both living in Bromley. The bride is identified as Joanna Brussel, age full, father Michael Brussel, deceased. She signed by making her mark..
Johanna Brassel became a widow at the 3 March 1868 death of her husband Francis Rushton. 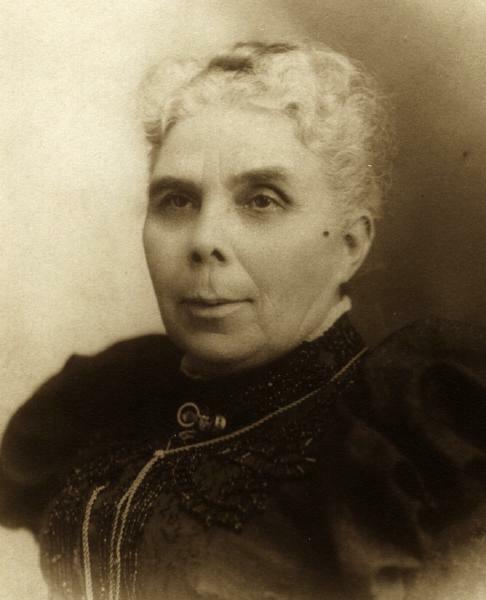 She arrived in Canada at the Port of Quebec, Quebec, on 13 June 1869, accompanied by Mary Ann Rushton, Jane Rushton and George Rushton traveling in steerage, having departed Liverpool on 12 May aboard the Allan Line steamship Prussian (2,794 tons, carrying 1,110 passengers, master Joseph E. Dutton). She is listed twice on the passenger manifest, once as Mrs. Rushton (age 24) and elsewhere as Johanna Rustin (age 24). She has not yet been found in the 1871 Ontario census, likely because she was in domestic service and overlooked in the household where she was employed; her three children are enumerated as inmates in the "Girls Home" in Toronto. 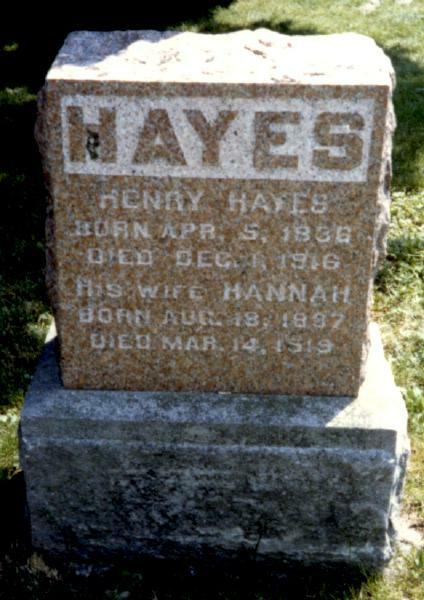 She married Henry Hayes, son of (?) Hayes and ?Mary? (? 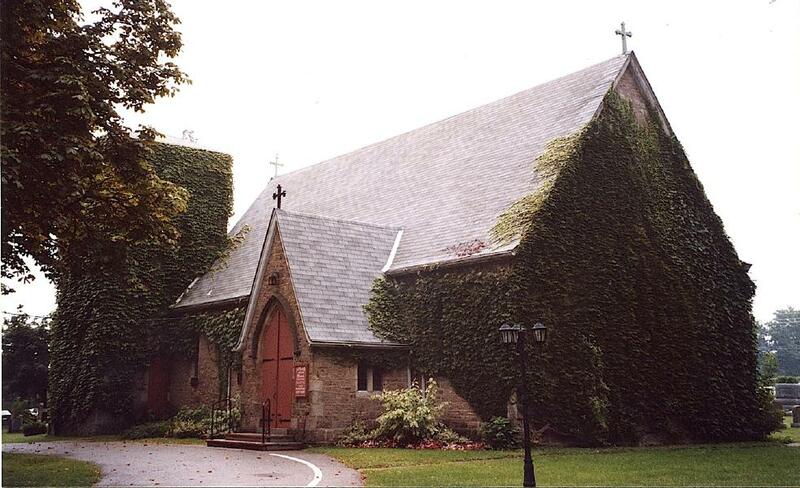 ), on 6 May 1874 in Toronto, York County, Ontario, Canada, at the Cathedral Church of St. James, by license, with the Rev. H. J. Grasett officiating. Witnesses were Henry Woodhouse and Martha Gray of Toronto. At the time of his marriage, Henry Hayes was employed as a special constable. Witnesses were Henry Woodhouse and Martha Gray of Toronto. In this marriage record, the bride is identified as widow Hannah Rushton, age 32, parents Michael and Elizabeth Brassell, and the groom as bachelor Henry Hayes, age 36, parents Henry and Catherine Hayes..
Henry Hayes and Johanna Brassel appeared in the 4 April 1881 census of Canada in Niagara Falls (formerly Clifton), Welland County, Ontario, Canada. Other members of the household included Mary Ann Rushton, Jane Rushton, George Rushton, Henry Hayes, Hannah Hayes and Louise Hayes. "Johanna" is identified as Hannah Hayes, age 37. Henry Hayes and Johanna Brassel appeared in the 31 March 1901 census of Canada in Niagara Falls, Welland County, Ontario, Canada, at McGrail. Other members of the household included Henry Hayes and Louise Hayes. "Johanna" is identified as Anna Hays, age 58 (born 6 August 1843). Johanna Brassel became a widow at the 10 December 1916 death of her husband Henry Hayes. She made a will on 7 March 1919 in the Surrogate Court, Welland County, Ontario, Canada, in which Jane Rushton, Henry Hayes, Hannah Hayes and Louise Hayes were listed as heirs. Johanna Brassel died on 14 March 1919 in Niagara Falls, Niagara County, New York, at 461 5th Street at the home of her daughter Louise Hayes Wilson. . Hier death was officially witnessed by Henry Hayes. On her death certificate she was identified as Johanna Hayes, born 23 August 1842, parents Henry Brassel and Hanna Burston. It is quite likely that her son Harry was a less-than-reliable informant; Henry was his father's name, and "Burston" is quite like his mother's first husband's surname Rushton. She was interred at All Saints Church Cemetery, Niagara Falls, Welland County, Ontario, Canada. On the grave marker is the inscription " Hannah / Born Aug. 18, 1837 / Died Mar. 14, 1919." The following appeared on 15 March 1919 in the Niagara Falls Gazette: [Died] In this city, March 14, 1919, Johanna Hayes, aged 76 years, widow of the late Henry Hayes, at the home of her daughter, Mrs. P. M. Wilson, 461 5th St. Funeral Monday, March 17th at 2:00 p. m., at the home of her daughter, Rev. Canon Bevan, officiating. Burial All Saints cemetery, Niagara Falls, Ont. The following appeared in an Ontario newspaper: [Died] At Niagara Falls, N.Y, at the home of her daughter, on Friday, March 14th, 1919, Mrs. Johanna Hayes, aged 76 years, 6 months, 19 days. The funeral will take place from the home of her daughter, Mrs. P. M. Wilson, 461 Fifth street, Niagara Falls, N.Y., on Monday, 17th, at 2 p.m. Burial at All Saints' Church Cemetery, Niagara Falls, Ont. Rev. Canon Bevan will conduct the service. She leaves one son, Harry, Niagara Falls, N.Y; three daughters, Mrs. John Gorman, Niagara Falls, N.Y; Mrs. W. C. Wright, Toronto; Mrs. P. M. Wilson, Niagara Falls, N.Y. It is worthy of note that there is no mention in the obituary of her son George Rushton, of Niagara Falls, or her daughter Mary Ann "Polly" Rushton Ross, in Cleveland, Ohio. A single grave marker identifies the graves of Henry Hayes and Johanna Brassel . 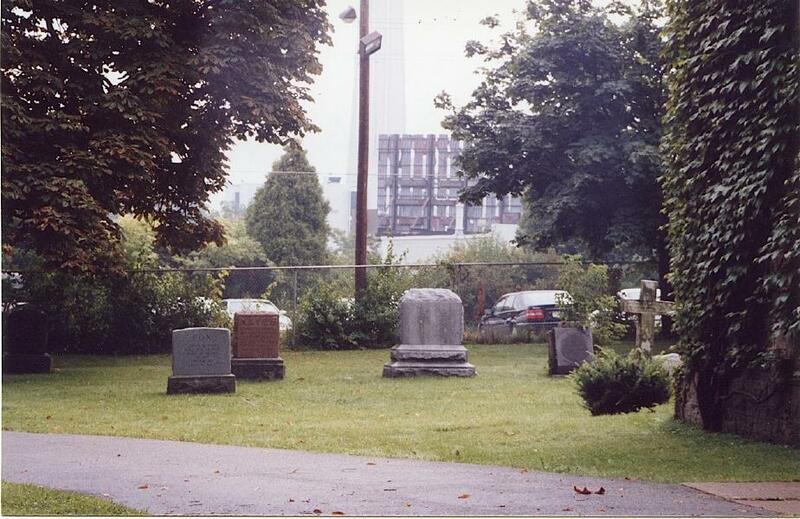 At a gathering in 2000 of their Candadian and US descendants, it became clear that none of them has any idea who was responsible for erecting relatively recently the granite monument marking the graves of Henry and "Hannah" Hayes, nor did All Saints church records yield any information on the subject. This is especially noteworthy, since the birthdate of neither is in keeping with other records over the course of their lives; their official birth/baptism records have yet to be found.